“The best and most fun hour of your week,” is how My House Fitness describes its popular 'Games' group fitness class. The class is designed to help adults discover their inner kid again with recess-inspired team-building exercises. I was immediately drawn to the idea, and at the same time, a little nervous. I’d never been the athletic kid on the playground, and my favorite adult pastime (running) is largely an individual sport. I was just hoping to hang in there and not disappoint my team. I visited the second My House Fitness location in Timbergrove (the first is in Richmond), which opened in June. Owners Lyndsey and Chris Markos told me that their goal was to create a comfortable non-big-box experience with a community environment where everyone knows each other’s names. The gym was welcoming—it’s small, modern and the opposite of intimidating—with thoughtful touches like a bowl of hair bands to tame sweaty tresses. We were greeted by trainer Amber Holzman, who introduced our small class of eight people to the day’s workout plan. 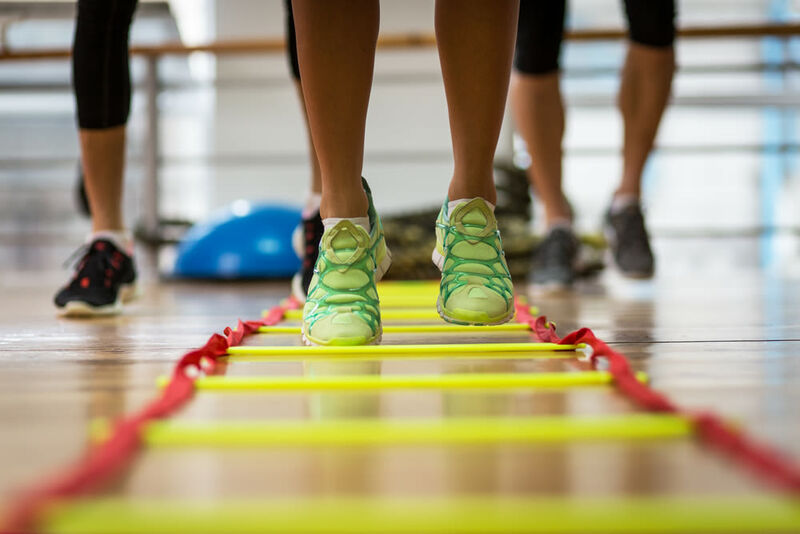 We would be divided into two teams to compete in the My House Fitness Olympics, which consisted of seven unique challenges. Members of each team would test their balance, endurance and agility to earn points toward a prize at the end. We quickly brainstormed our team names, and we were off! The first challenge involved partnering up with a member of the other team, standing on one leg, and tossing a medicine ball back and forth with the goal of knocking your opponent off balance. Along with triggering core muscles for balance, this exercise also engaged our arms and the stability muscles in our legs. Although most of the class participants had just met each other, we were soon in fits of giggles like old friends as we hopped on one leg and struggled to maintain our composure. 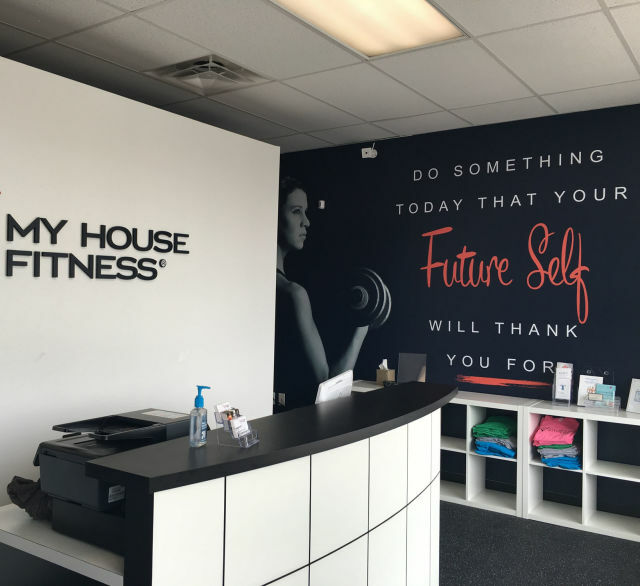 The My House Fitness gym in Timbergrove is modern and un-intimidating. We moved through challenge after challenge, getting to play with fun equipment such as speed ladders and jump ropes (where I discovered I'm still uncoordinated). The six-minute squat challenge tested our dynamic strength and endurance, while other rounds called for isometric strength or aerobic ability. I enjoyed having a wide variety of exercises since it seemed to give everyone the chance to show off their personal strengths. Being part of a team definitely seemed to motivate all of us to work harder, too. Amber was very encouraging and jumped in periodically to give advice on technique. By the end of the class, the competition was exciting with high-fives all around. The points were officially tallied and, unfortunately, my Morning Glories team fell hard to team Stranger Things. Although I was a tad jealous of their protein shake prizes, I still felt rewarded (and surprised) by the fact that I had actually laughed through a good portion of my workout that morning. I think it’s reasonable to consider those belly laughs as an extra-credit abs session! My House Fitness is located at 1507-A West 18th St., myhousefitness.com. 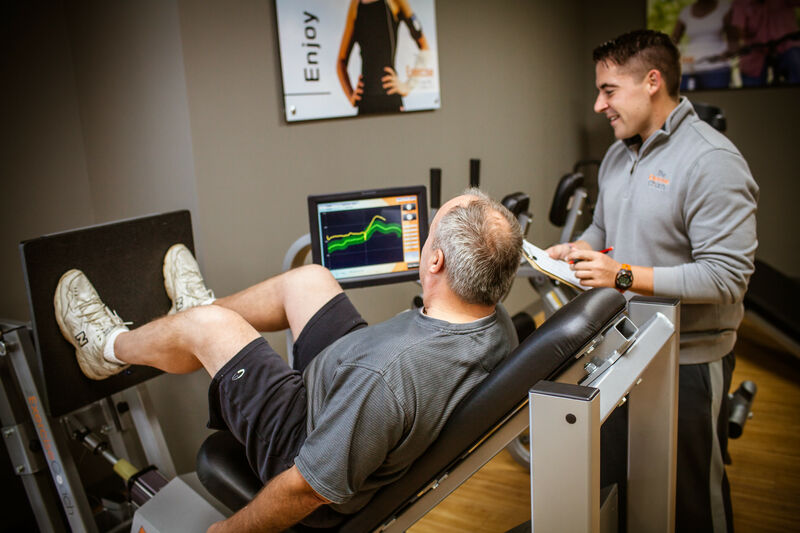 The gym offers personal training, small group training, classes, and nutrition/wellness consultations. The first class is always free.